If you watch some of the most popular YouTube channels, you’ve probably noticed that most of them have good intros that are engaging and in line with their brands. And if you have been thinking of starting your YouTube channel, you’re going to need to make YouTube intros too. The good news is it’s not that difficult. Even better, we have written a whole article telling you what makes a good intro. We will also introduce you to a few free tools that will help you create your own YouTube intro when it comes time to do so. Most YouTubers include their signature intro in every video. Still, you probably couldn’t name your favorite one straight away, even if you’ve seen it a hundred times before. So, let’s look at some examples of awesome YouTube intros and see what makes them so great. 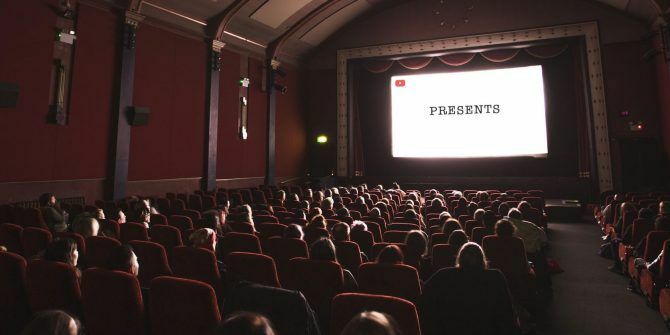 TED Talks is one of the best YouTube channels for personal and professional development 5 TED Talk Alternatives to Grow as a Person or Professional 5 TED Talk Alternatives to Grow as a Person or Professional Has your interest in TED talks been waning recently? Then, check out these fantastic alternatives to TED. These interviews, speeches, presentations, and even animated talks will help you grow as a person and professional. Read More . If you watch TED Talks on a regular basis, you’ve probably noticed how the latest set of their videos opens. The essence of what TED Talks are all about is perfectly captured in a captivating seven-second sequence. Good Mythical Morning is all about helping you start your day on a good note. In their daily talk show, Rhett and Link feature funny sketches, music videos, and lots of little experiments. All of that is captured in their very unusual YouTube intro. Animated storytelling is a great way to tell your story in just a few seconds. My Virgin Kitchen’s YouTube intro summarizes the story of Barry Lewis and how his channel came to be in the first place. Now that we’ve taken a moment to appreciate some great intros, you can see that they all follow a certain pattern or even a set of rules. And so should your (future) opening sequence. 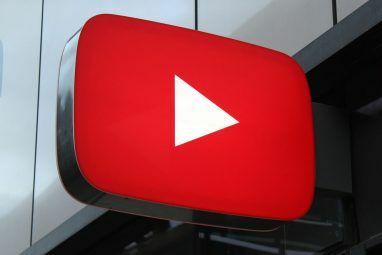 We have previously talked about the key ingredients of a successful YouTube channel 9 Key Ingredients of a Successful YouTube Channel 9 Key Ingredients of a Successful YouTube Channel Truth be told, there is no set formula for a successful YouTube channel. But there are a few key ingredients that will make your chances of YouTube fame all the more likely. Read More . Now, it’s time to look at the key ingredients of an engaging YouTube intro. Firstly, you’ll want to keep your YouTube intro under a few seconds. You only want your readers to get a general idea of what your channel is about without boring them. Think of the last time you marathoned shows on Netflix. After the first couple of episodes, you lose patience and start skipping the opening credits. Similarly, people will start doing it on YouTube if they find your intro dragging on for too long. It goes without saying that in order to get your viewers to recognize your brand you should include your brand name in your intro. You can also include your tagline if you have one. The more people see this information, the more they’ll associate your brand with your content on YouTube. Besides, it’ll help your people recognize your brand when it gets mentioned somewhere outside YouTube. Do you want to really build your brand’s recognition The Minimalist Guide To Personal Branding On Social Media The Minimalist Guide To Personal Branding On Social Media Personal branding. What is this alien concept you speak of? Despite becoming prevalent among Internet users, I still have found through casual conversation that it's a rather uncommon concept throughout the general public. Read More ? Then decide on your brand’s signature colors and include them in your intro. Whether it’s a filter, the color of the font of your channel’s name, or even just the background. Take advantage of every chance you get to remind your viewers of what your brand is all about. When new viewers find themselves on your YouTube channel, they won’t be watching your videos in chronological order. Keeping that in mind, each new video should give them an idea of what to expect from your channel and what they’re about to watch. 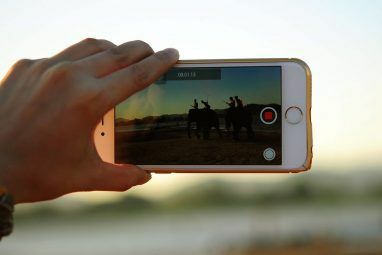 Aside from the animation, you can do it with a montage of your most interesting or fun moments on camera. Just make sure that whatever option you choose suits the content of your YouTube channel well. Do you have an idea for your intro, but don’t know where to begin? 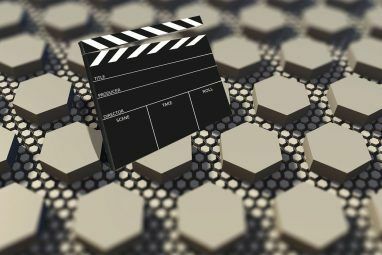 Thankfully, there are a number of tools that you can use online (and for free) to create your own unique opening sequence. Most of the tools are suitable for both complete beginners and advanced users. Here are a few that we recommend. Animaker is one of the most popular options. If you’re looking for the perfect balance between quality and simplicity, this online tool should be your go-to. Here you have an option of choosing one of the 20 free templates or starting from scratch. Panzoid is especially good if you don’t want to use a cliched template for your intro. On this platform, you can still choose a template, but it will be one generated by a community member. That way, you will have a unique base for your intro without having to make it yourself from scratch. Blender is an open-source 3D creation suite. It’s a little more advanced than the tools listed above and there’s a learning curve with this one. However, you can learn how to use Blender by checking out one of the YouTube tutorials. Choose Blender if you’re looking to create a unique animated 2D or 3D intro. If you’re looking to include music or sound effects in your intro, check out YouTube Audio Library. You’ll find lots of tracks that you can use for free. That way you never have to worry about getting a copyright complaint. And that really is all you need to know about creating a YouTube intro. Watch good and bad examples of YouTube intros, identify what elements you want to include in yours, and then choose the right tool to help you make it. So, whether you’re just starting your own YouTube channel, or you already have one and are looking to make your YouTube videos more popular, a good intro is a step in the right direction. Make your intro sequence creative and engaging and it won’t just warm up your audience to your content, but also help you build (and reinforce) your brand. That will definitely help make your channel more popular and maybe even help you make money as a YouTuber How to Make Money on YouTube: 6 Monetization Tactics Used by Pros How to Make Money on YouTube: 6 Monetization Tactics Used by Pros Thinking of starting a YouTube channel and want to know your monetization options? You've come to the right place. Here's how to make money on YouTube. Read More . Explore more about: Online Video, Video Editing, YouTube, YouTube Videos.